Mix all ingredients (cheese, chicken, dressing, and herbs) in a bowl. 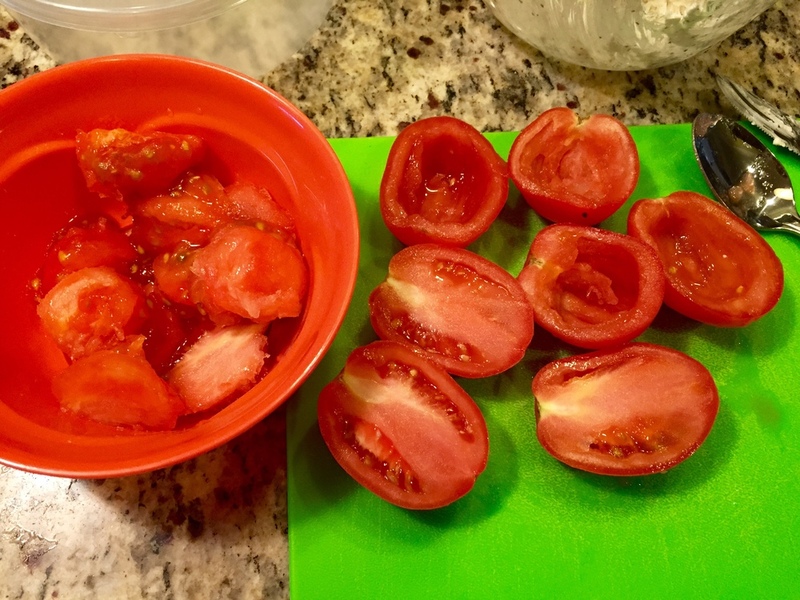 Slice tomatoes in half length-wise and spoon out the "guts". Stuff cheese and chicken mix into tomatoes with a butter knife. Bake tomatoes at 400 degrees 25-30 min.